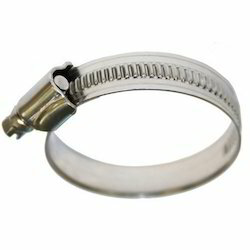 Leading Manufacturer of hose clip, ms hose clip, metal hose clip and worm drive hose clip from Faridabad. Enriched by our vast industrial experience in this domain, we are into presenting an excellent quality range of Hose Clip to our clients. This product is manufactured utilizing superior quality stainless steel and sophisticated technology. Provided product is strictly inspected on numerous quality stages by skilled professionals. With the goal of delivering qualitative products, we are actively committed towards providing the best class MS Hose Clip. Well known for their remarkable features, these clips are used in numerous industries. Procured from authorized vendors, these clips are manufactured using the premium quality raw material and the latest technology. To accomplish the different needs of the clients, we provide these clips in different sizes and dimensions at market leading prices. 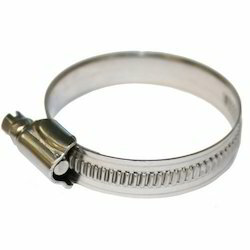 We are offering Worm Drive Hose Clip to our customers.